MID-ARGYLL: A Black-throated Diver off Ardrishaig/Lochy Fyne late morning, also juv Glaucous Gull again just south of Inverneill (Jim Dickson). A male Blackcap today in Anne-Lise Dickie/Bill Allan’s garden in Scammadale Glen. A House Martin was at Lingerton, Lochgilphead today (Andrew Tongue per David Jardine). 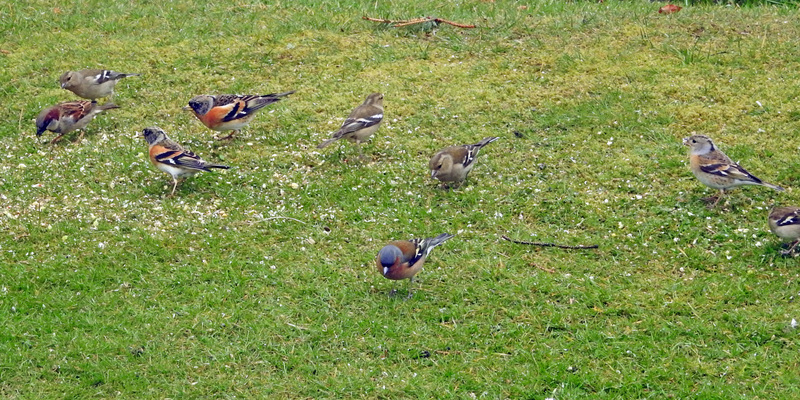 KINTYRE: Another look for the reported male Cirl Bunting today was unsuccessful. 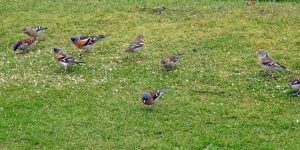 Present in Alasdair Patterson’s garden at Port Righ, Carradale were 2 Yellowhammers (regular there), now 4 Brambling (2mm,2ff), a female Reed Bunting, 2 Greenfinch, 60+ Siskins, good nos of Chaffinch and Goldfinch – also 3 Whoopers over heading NE. A Cuckoo was at just north of Grogport (Jim Dickson). 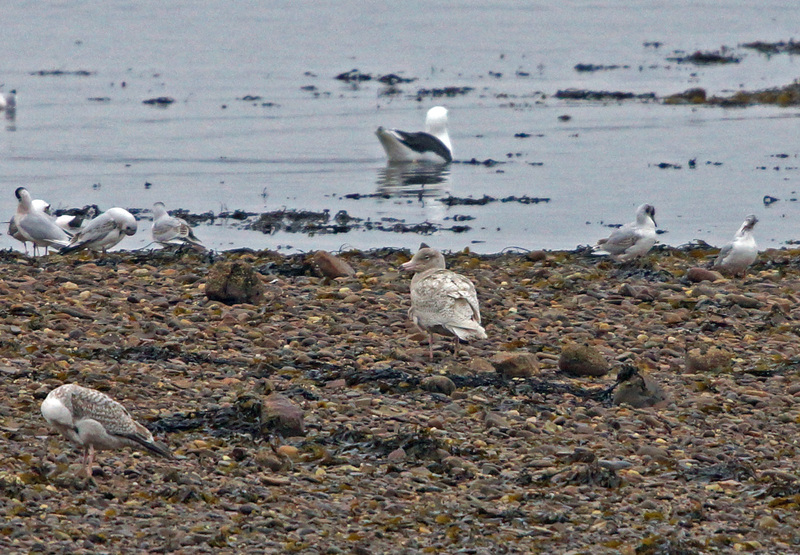 ISLAY: 4 Sandwich Terns off Port Charlotte most of the day, a Glaucous Gull near Loch Gorm House, loch Indaal, 65 Golden Plover at Rockside and a Wheatear Machir Bay (Mike Peacock). 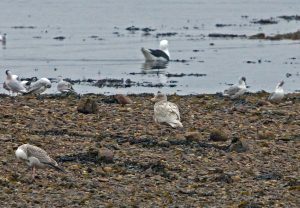 Glaucous Gull – Inverneill, Mid-Argyll 13th Apr (Jim Dickson). 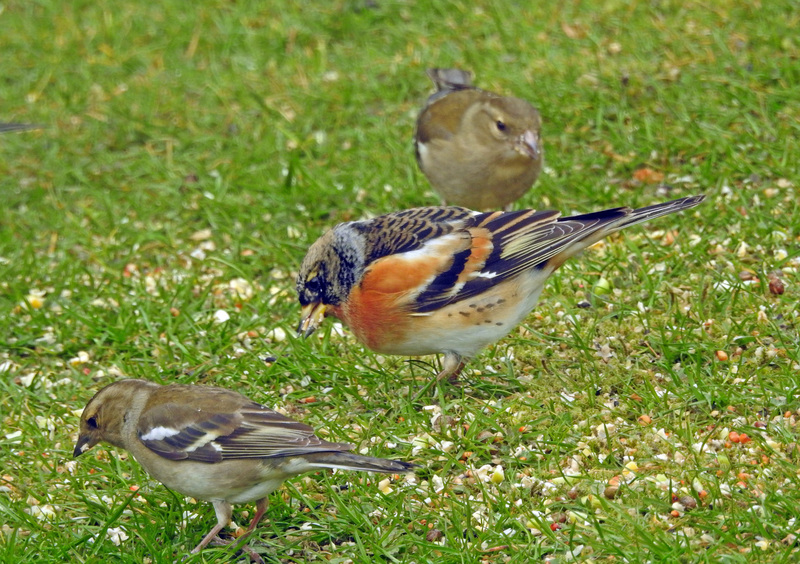 Brambling – Port Righ, Kintyre 13th Apr (Jim Dickson). 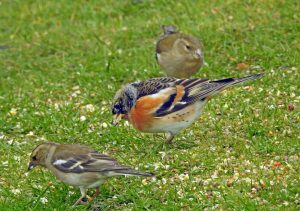 Bramblings – Port Righ, Kintyre 13th Apr (Jim Dickson).